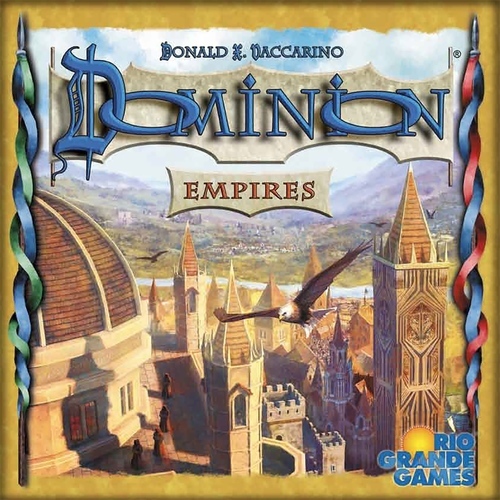 Dominion fans will be thrilled to know that Donald Vaccarino has added another expansion to his most-popular deck-building game, Dominion. 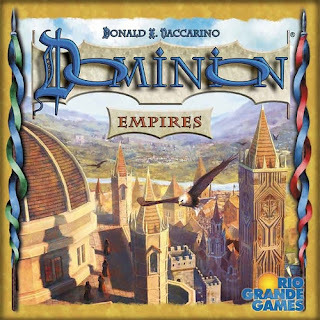 Dominion Empires is his newest addition and comes with 300 cards and 96 metal tokens. 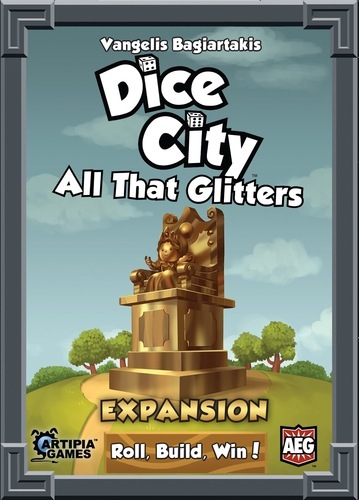 There are cards you can buy now and pay for later, piles with two different cards, and Landmarks which add new ways to score. Empires can be combine with any of the other Dominion expansions. 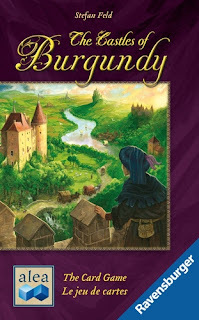 Fans of the strategy board game, Castles of Burgundy will surely like Stefan Feld's new card game format. Castles of Burgundy: The Card Game, is a set collection game at it's core. The game is played over 5 rounds with 6 turns in each round. The object is to maximize victory points through strategic actions. Playing cards serve as "dice" that provide the possible actions players can make. 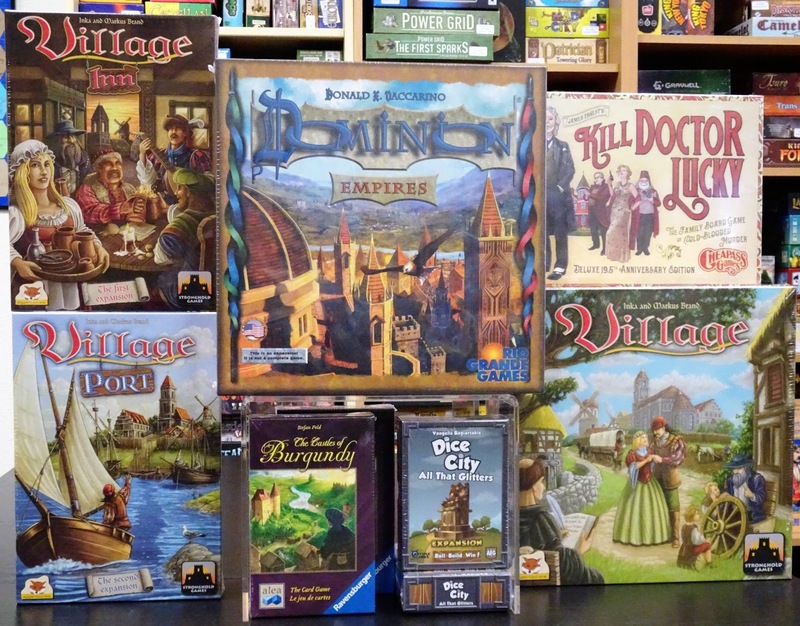 Will you trade or buy livestock, build city buildings or invest in scientific progress? There are many paths to prosperity and prestige. Castles of Burgundy: The Card Game has enough similarities to the board game version that it's easy to pick up the rules. However, there are enough differences to make it a different game. In from AEG is Dice City: All That Glitters, an expansion to the base game, Dice City a dice-crafting game where the buildings and locations in your city become the faces of your dice as you roll them each turn. All That Glitters brings new wealth to the game in the form of gold. You can now open up gold mines, and adorn lavish palaces, pay elite mercenaries, oil the wheels of bureaucracy, or support the work of goldsmiths. Additionally, there are three new locations of each type - military, economic, cultural and civic. Welcome to Lucky Mansion, a sprawling country estate 7 miles north of nowhere. You've disliked Doctor Lucky for as long as you can remember, and this is your perfect chance to take the old man out. And unbeknownst to you, everyone else in the house wants to kill him too. 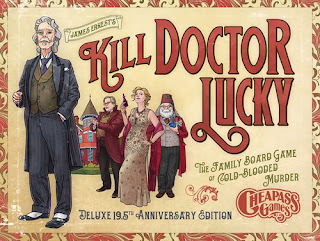 New in is the 19.5th Anniversary Edition of Kill Doctor Lucky, a family game of cold-blooded murder. The Anniversary Edition includes the "...And His Little Dog Too!" expansion— 3 rules variants that feature Doctor Lucky's dog, Shamrock. He's just as lucky as his master and has an annoying habit of making you feel fond of him. Kill Doctor Lucky is a 2- 8 player game that plays in 20 to 40 minutes.